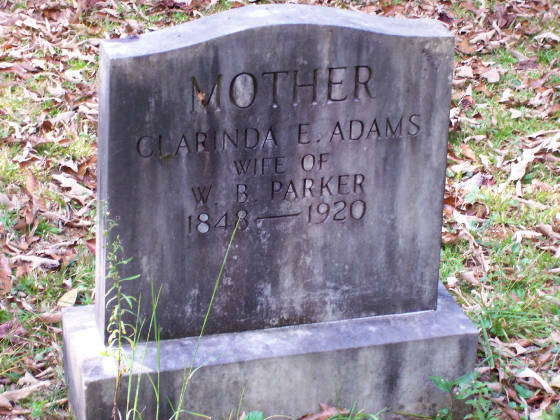 William Benson Parker married his first cousin, Clarinda Adams (Adams, Clarinda), daughter of Leoma C. Parker (Parker, Leoma C.). Leoma is the sister of Willis Parker (Parker, Willis). Willis Parker is the father of William Benson Parker (Parker, William Benson). 1. Willis Parker, Capt. Enlisted July 20, 1862, Valley Town, NC, by Col. W.H. Thomas. 65. Parker, William, private. Enlisted July 24, 1862, S. Plains, TN by Capt. Stringfield. Present. Made mark for pay. All three served in Company I of Thomas' Legion (69th North Carolina Regiment). All three are recorded on Official Civil War Muster Records. Thomas' Legion is also known as Thomas' North Carolina Legion, 69th North Carolina Regiment, and Thomas' Legion of Indians and Highlanders. 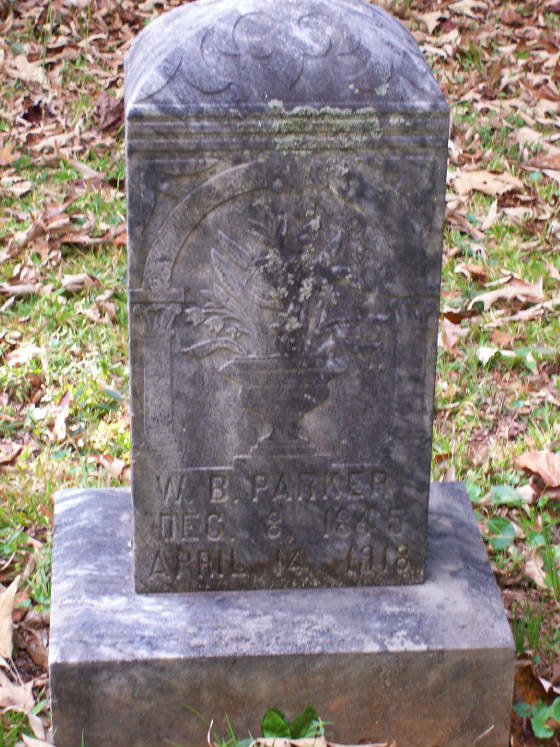 William Asbury served in "Thomas' Legion" with his brother, Captain Willis Parker, and his nephew, Corporal William Benson (Willis' son). All three are listed on Thomas' Legion's muster roll: THOMAS LEGION, COMPANY I OF THE FIRST REGIMENT MUSTER ROLL. William Benson Parker was a close friend of Lt. Colonel William Williams Stringfield of Thomas' Legion. He is recorded in W. W. Stringfield's Diary and Papers. The Parkers were very close friends with the Blythes, Greybeards (Census sheets sometimes reflect Graybeard), Adams, and Whitakers. Willis Parker--Johnson Greybeard Cemetery*. 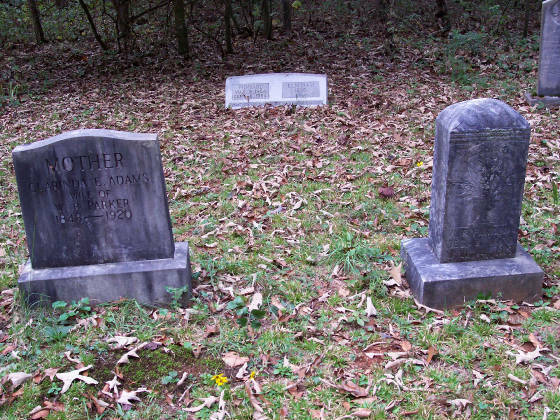 The Parkers and Greybeards (Cherokees) were neighbors and close friends. Birth: 8 DEC 1845 Cherokee Co, N.C.
Death: 14 APR 1918 Marble, N.C. Birth: 1848 Cherokee Co., N.C.
Death: 1920 Cherokee Co., N.C.
Also, do you possess additional information, documents, references, corrections, or photos regarding Jonathan Parker and family? Are you willing to loan the information to http://thomaslegion.net. Numerous detailed maps and rare photographs allow the reader to better understand and relate to the subjects discussed. It also contains rosters which is an added bonus for researchers and genealogists. Crow, furthermore, left no stone unturned while examining the many facets of the Thomas Legion and his research is conveyed on a level that scores with Civil War students and scholars alike.